For a long time tarps were the ultimate go-to piece of kit. Nowadays, specialized tent footprints are also available to help you make the most of any expedition. A tent footprint sits underneath your tent, much like a tarp, protecting the base from wear and tear, as well as keeping you cool and dry. Having a solid tarp or tent footprint is an important consideration, should the weather take a turn for the worst or campsite conditions are less than ideal. If you’re not sure whether or not a tent footprint suits your camping style over a traditional tarp we are going to cover all the bases, helping you pick the best camping tarp or tent footprint for your outing. 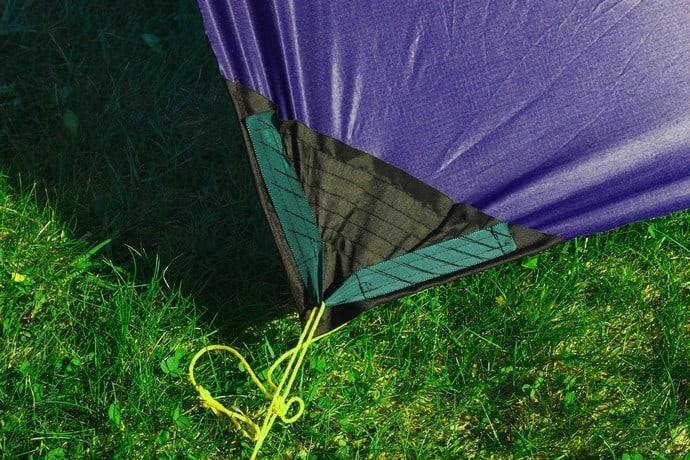 Tent Footprint Vs Tarp: What Should We Consider? When Will A Tent Footprint Suit Your Needs? Is A Tarp Better For Your Camping Style? Protecting yourself and your tent from the elements is an important step while camping. Tent footprints & tarps offer exceptional protection no matter the conditions. When it comes to choosing the right gear for your needs, there are a few criteria we recommend you keep in mind. Different materials will suit different environments, with weight and size being important as well. The weight of your equipment and gear should be as light as possible, while still ensuring it’s sturdy enough to stand up to the elements during more advanced trips. 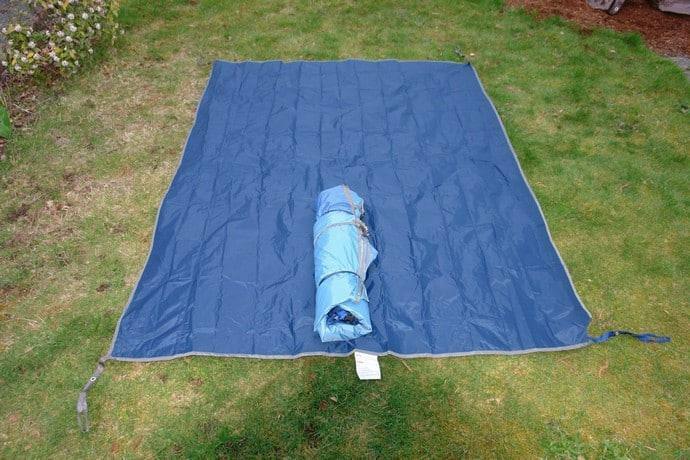 Both tarps and tent footprints come in a variety of materials, with tarps usually being lighter and easy to carry than tent footprints. Nowadays, there are a wealth of options available when it comes to the material your tarp or tent footprint is made from. A tent footprint is usually made of more durable material than a tarp and come in solid and mesh varieties. A tarp, on the other hand, can come in numerous different materials, each suited to a different style of camping. Popular tarp materials include polyethylene, canvas, mesh, and nylon. One of the most important factors to consider when choosing a tent footprint or a tarp is the size. Tarps allow for a little more flexibility here, as you can fold them and adjust them to fit any space. A tent footprint is less adaptable, but many do allow for minor adjustments if necessary. A tent footprint is a specialized piece of gear that fits underneath your tent. This alleviates friction and allows you to pitch your tent without worrying about any tears or punctures. When your tent sits directly on the ground, it will constantly grate against objects on the ground, such as dirt, stones, and twigs. These slowly wear the fabric down, making your tent more susceptible to damage. Maintaining a tent footprint underneath your tent is a perfect way to prevent his regular wear and tear, potentially adding years to the life of your tent. Tent footprints will also allow you to prevent your tent from becoming overly dirty with regular use. A solid tent footprint is just what it sounds like. It is a solid sheet that will protect the base of your tent. These can, however, collect water underneath the tent during rainy situations. A mesh tent footprint allows water to seep through it, keeping the bottom of your tent much drier, while still offering the utmost protection. These are a little more expensive than other options, but are well worth the cost if it’s in your budget. There are a variety of options available to you, as well as custom-building your own tent footprint. Pretty much anything that will fit your tent will do, with many DIY campers using old tarps to do so. Modern technology has allowed us to create new tarp materials and designs, furthering what they are able to do. Tarps are lightweight and infinitely easy to store or transport, adding a lot of functionality to your trip. Tarps are large sheets of material that rest on the ground, much like a tent footprint, but can also be adapted to any number of additional uses. Tarps can be used as a clean area to prepare food or store items, even doubling as a shelter if needed. Polyethylene tarps are completely waterproof and are one of the most durable options. If you need a little extra strength, you can opt for a two-ply sheet that will end up being heavier. These tarps feature grommets and are usually cotton-based. Heavier and without proper waterproofing, these tarps are able to withstand strong winds and a lot of abuse. Lightweight and very breathable, these tarps won’t protect you from the elements. They will, however, provide shade and a barrier between your tent and the ground beneath it. Not quite as durable as polyethylene or canvas tarps, these lightweight options are a great choice, nonetheless. They are cheap, lightweight, and waterproof, allowing you to store them easily and carry them around with minimal fuss. Tent footprints can be built to fit specific tents and offer the best protection available. They are less versatile than a tarp will be, but if you want to ensure your tent’s longevity, it is a useful addition. Suited to fit your tent perfectly, they are the best bet to keep your tent protected. Tarps can offer a lot more than any tent footprint and are supremely flexible. They are a solid addition to any camping trip, no matter what you’re up against. Tarps are also easy to pack and carry, making them a useful piece of gear. Any level of camper will benefit from carrying a tarp in all situations. Tarps are a camper’s best friend and they will always come in handy. A tent footprint is an awesome addition to a tarp, with both items being invaluable when used together. It is not, however, a necessity. 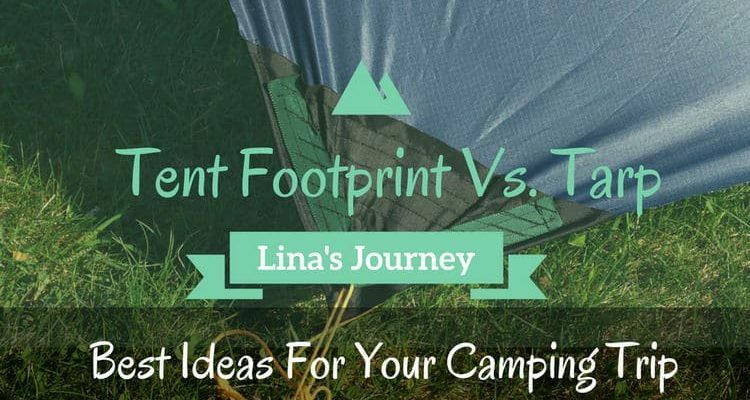 Tent footprints are perfect for those who have a little extra space to fill in their pack or plan on using a tent in a less-than-ideal location for wear and tear, such as a beach or cluttered camp sites. It is also ideal for backpacking trips. If weight is an issue, it can always be removed, with a lightweight tarp protecting your tent and other valuables just as well as a tent footprint for most campers. What should we consider when choosing a new tent footprint? What should we consider when choosing a new tarp? If you have any further questions or comments, feel free to get in touch. We look forward to hearing from you! Let us all expand our knowledge on tent footprint and camping tarp.